My villain is a bit too one-dimensional. Any tips for fleshing out a character who's not the protagonist? Sure, I know a lot about villains, although not from personal experience mind you. That bank robbery thing was a big mistake, and the reporter got it all wrong! 1. You can have the villain occasionally do something good -- but just make it something SMALL or we'll like him too much and be upset when he dies (unless you want us to be upset). 2. He can have reasons for his criminality, which, if not reasonable to us, can at least make us understand why his crimes are reasonable to him. 3. He can have a life outside of his simply being a villain. For instance, he can be concerned about his kids grades in school; he can be a member of a local softball team, etc. 4. We can see his human side that makes him more "relatable." Maybe he's shy on a date. Maybe he's self-conscious because he has gained weight. Maybe he's secretly embarrassed when he tries out a French phrase in public (trying to sound sophisticated) and is laughed at for his mispronunciation. Once again, too much of this thing and we'll identify with him so much we'll mourn his death. So just a little touch is all you need. 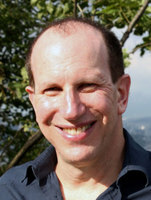 David Freeman is a screenwriter, and teaches screenwriting and script development internationally. A long-standing member of the Writers Guild of America, he has sold and optioned scripts and ideas to Sony Pictures, Columbia Pictures, Paramount Pictures, MGM, and other major film and television companies. He works half time for News Corp (which owns 20th Century Fox and television networks around the world), developing television dramas.